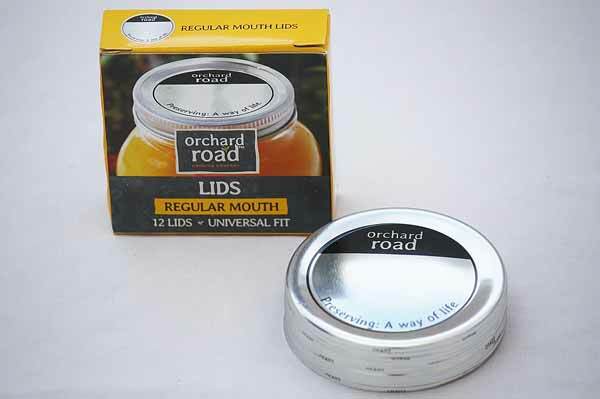 12 Orchard Road canning jar lids fit regular mouth jars. Preserve fresh foods with the confidence of a tight seal. Jar lids only intended for one time use.